Lisbon, with its large river delta provides ideal conditions for surfers of all categories! 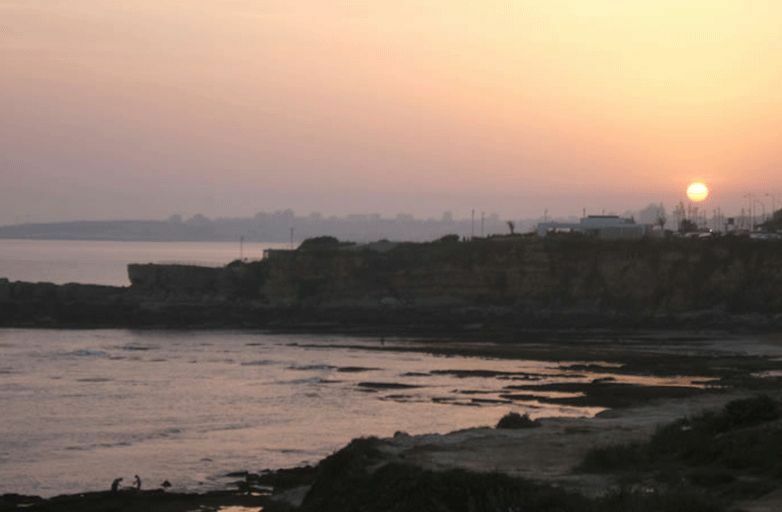 Lisbon, with its large river delta provides ideal conditions for surfers of all categories. 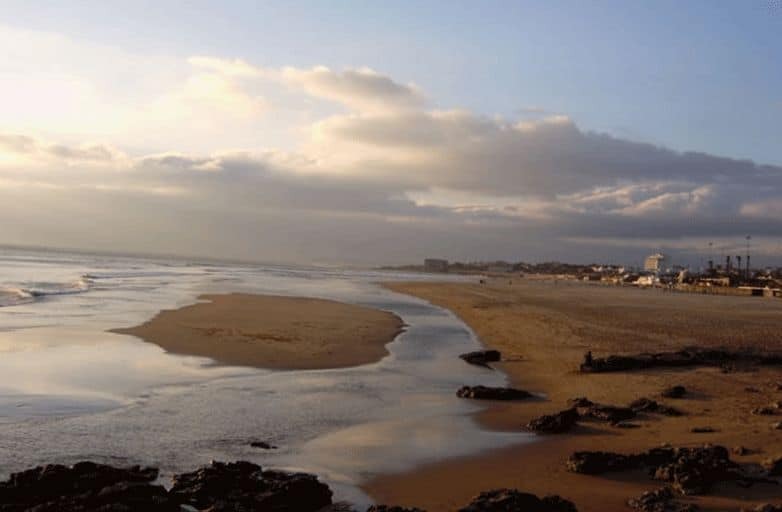 At the western beaches as Praia Grande, Praia Pequena, Praia do Guincho and Costa da Caparica there are almost always good waves. 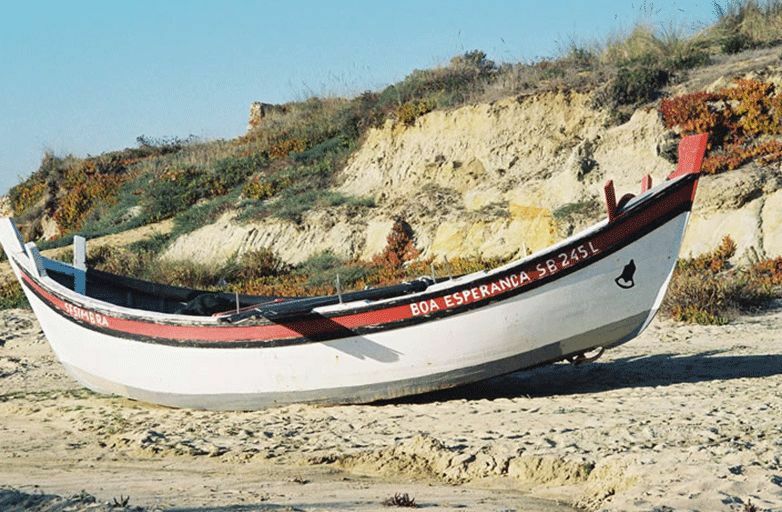 Should the West or Northwest swell be to large (sometimes in winter) or at rare southern swells, then the south-facing beaches on the Costa do Estoril (Estoril, São Pedro do Estoril and Carcavelos) also called “Linha” offer perfect conditions for beginners and professionals. The situation is similar with different wind directions. Lisbon is thus one of the best surf cities in the world where you can surf all year round with mild climate and very good surfing conditions. 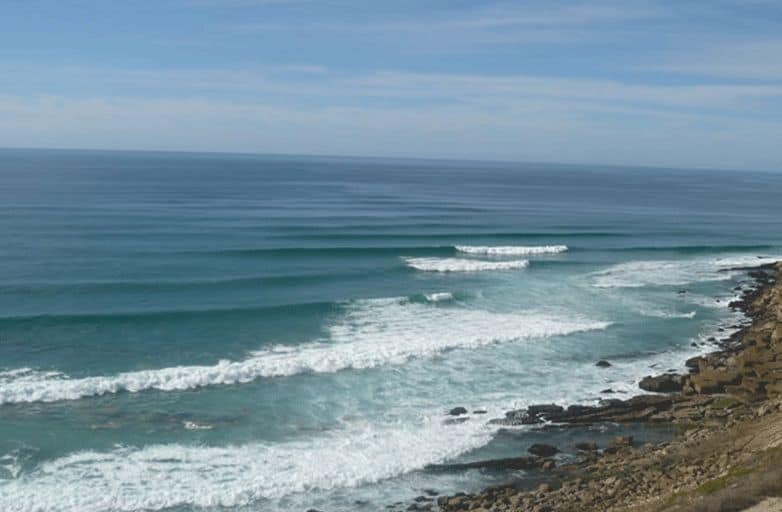 Those who have got some more time can plan smaller surf trips to the Surf meccas of Ericeira or Peniche. 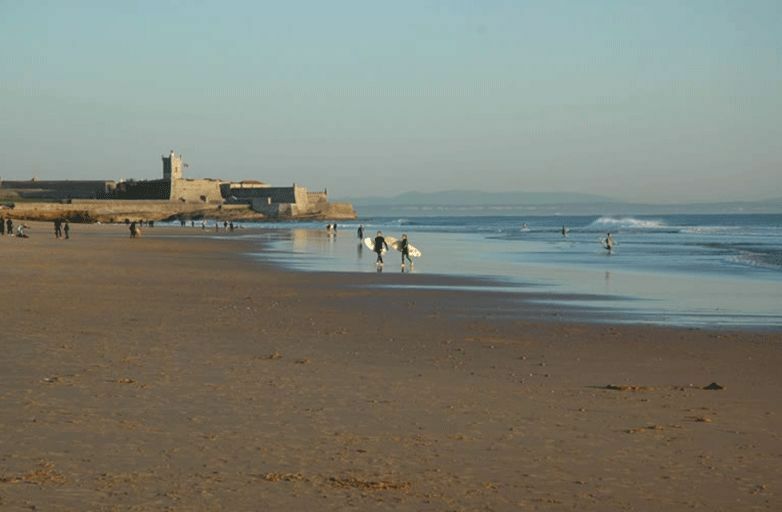 In any case we can guarantee you, almost independently of wind or swell conditions, good waves for the surf lessons. 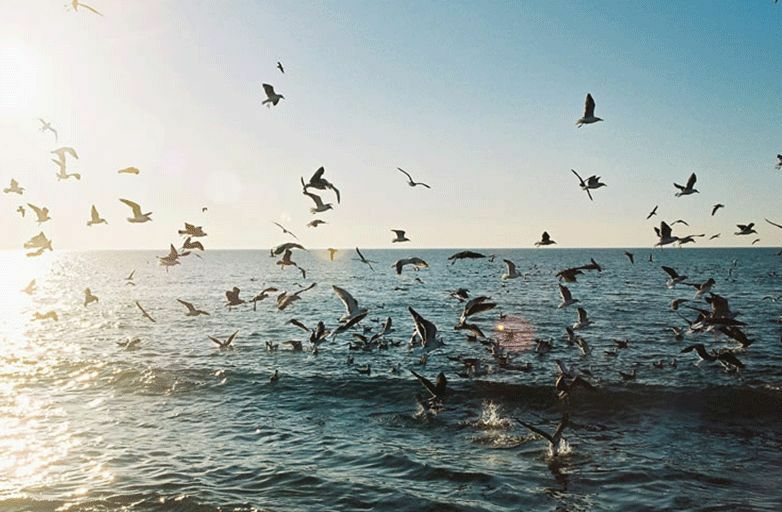 This means that your time in our Karma Surf Retreat will be used efficiently and successfully. Praia Grande, there are always good waves in the main season and the wave height can vary a lot depending on tides, swell direction and size. 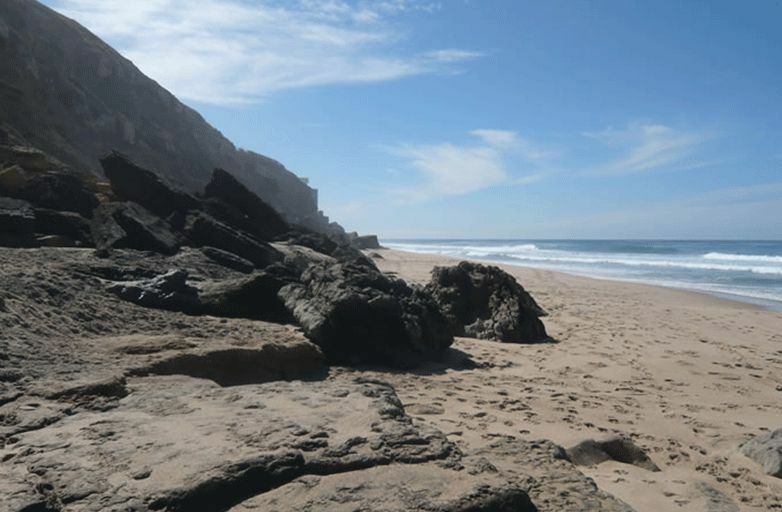 Praia Grande has got a very powerful beach break with many peaks and is particularly popular with body boarders. 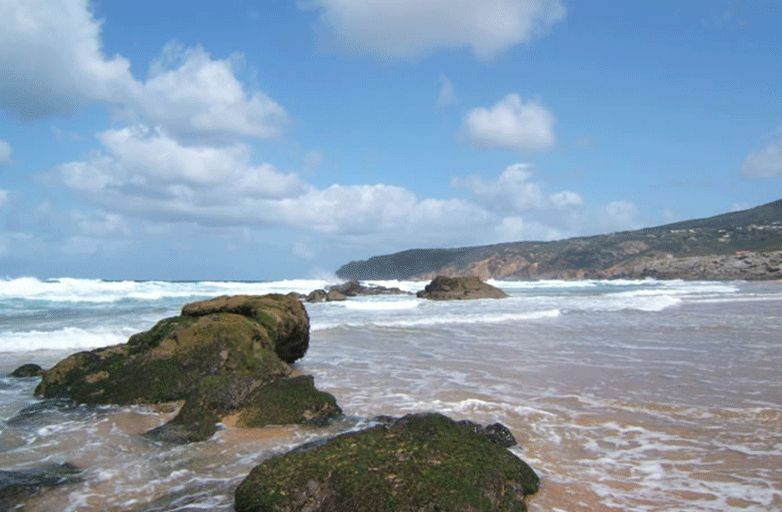 A little further north you will find the beaches of Praia Pequena and Praia das Maçãs (also called “Apple beach”). These two spots are less crowded but also have very good waves. The sandbanks of all these spots are relatively stable. 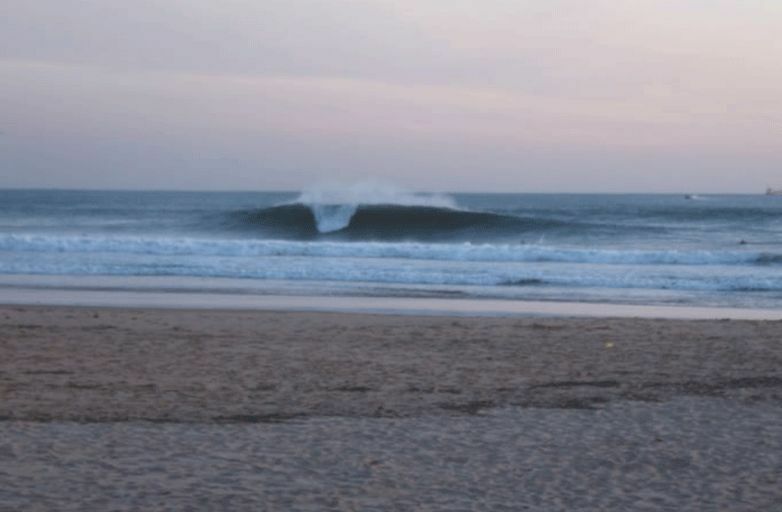 With the big winter swells between November and February the peaks can also change and then offer us nice surprises. If it gets very windy in the summer on the south side of the Serra de Sintra these beaches are almost windless and can sometimes be a bit foggy in the morning. 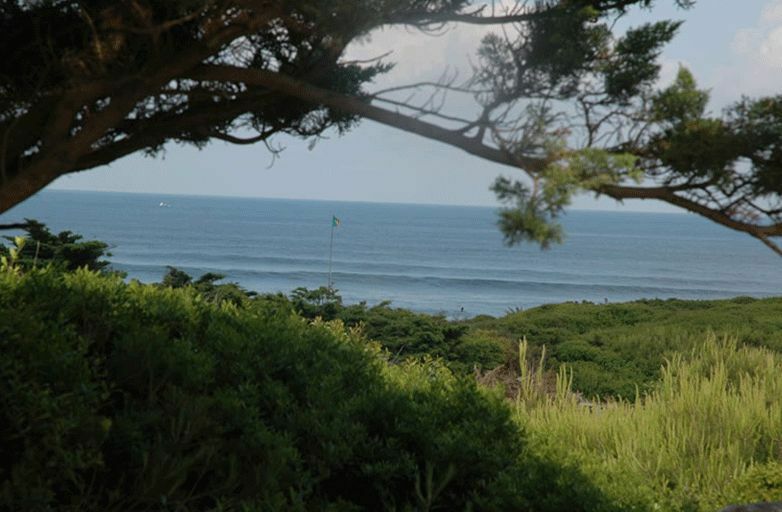 All three surf spots are located approximately 5km or 15 minutes drive from our villa. This wonderful beach you can admire every day with every glance from the villa. 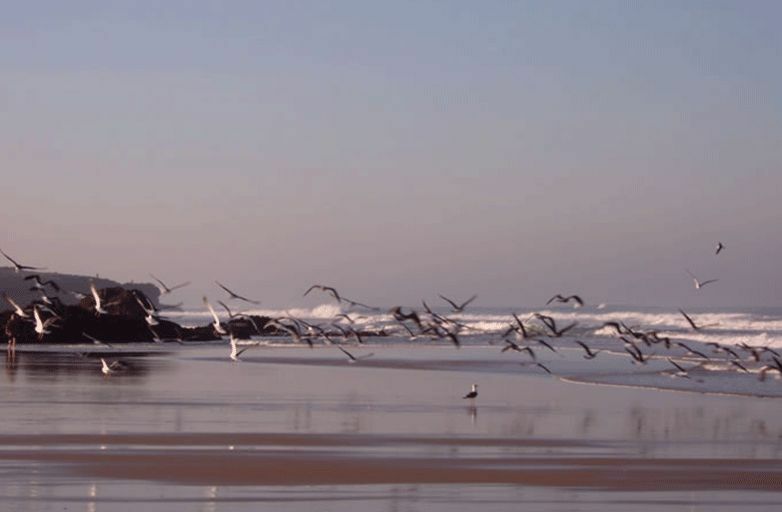 It is one of Portugal’s most beautiful beaches and offers very good conditions not only for surfers. Between July and August the north wind can pick up at noon and will guarantee good conditions and fun for wind and kite surfers. At this time the waves are cleaner surfing on the north side of the westernmost tip Cabo da Roca. We recommend having lunch or dinner in the Bar do Guincho and have a toast for sunset at the end of successful day. The beach is about 3 km and 5 minutes by car from the villa. 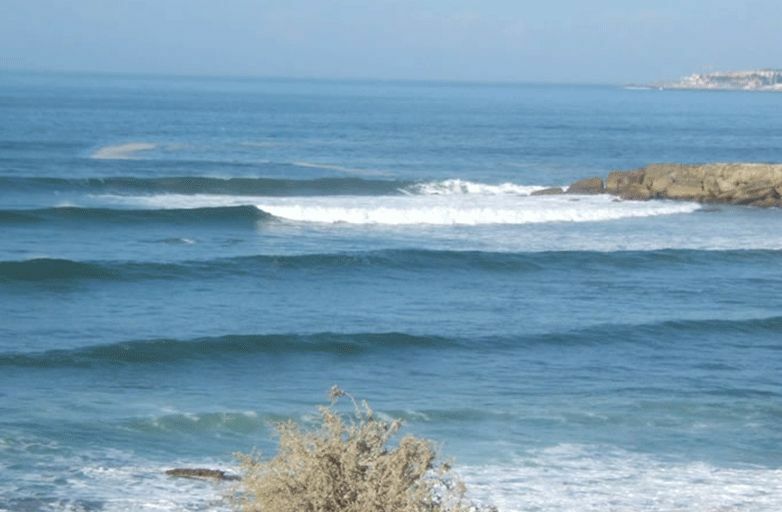 Parede, São Pedro do Estoril and Bafureira – the “Linha” This righthander reef breaks work very well on a northwesterly swell of minimum 2.5 m and north wind. Here you can surf big waves (up to a 5m swell) in winter time. There are some nice bars and restaurants where you can eat delicious fresh fish for lunch. 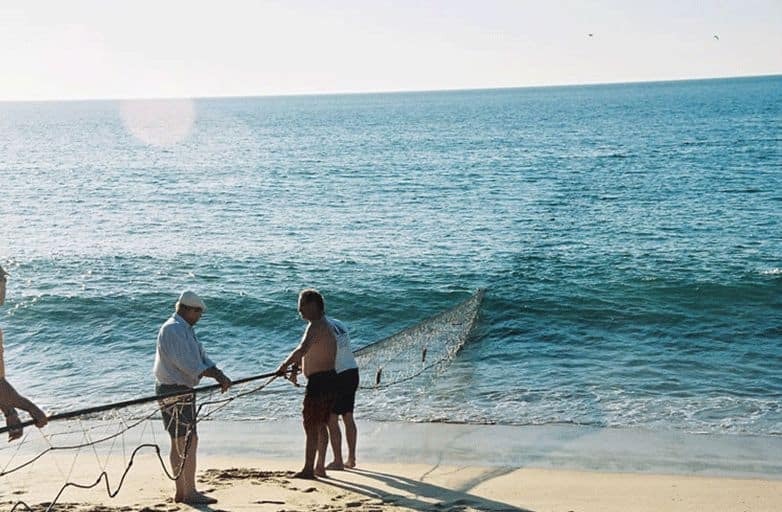 All beaches on the “Linha” are situated about 5 km and 15 minutes by car from the villa. Carcavelos is famous for his big tubes in winter but offers almost all year round especially for beginners very good conditions for surfing. 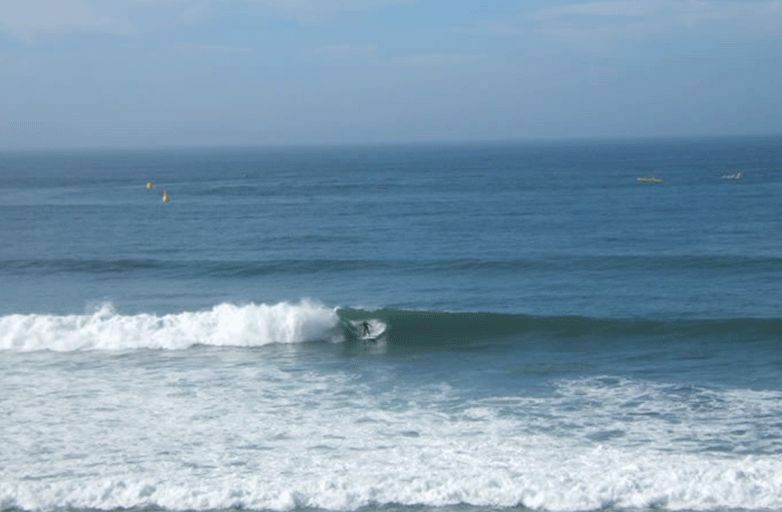 The ideal swell and wind conditions are similar to Sao Pedro de Estoril and adjacent spots. In the summer months it usually gets very crowded, since it is easily accessible by train from the center. 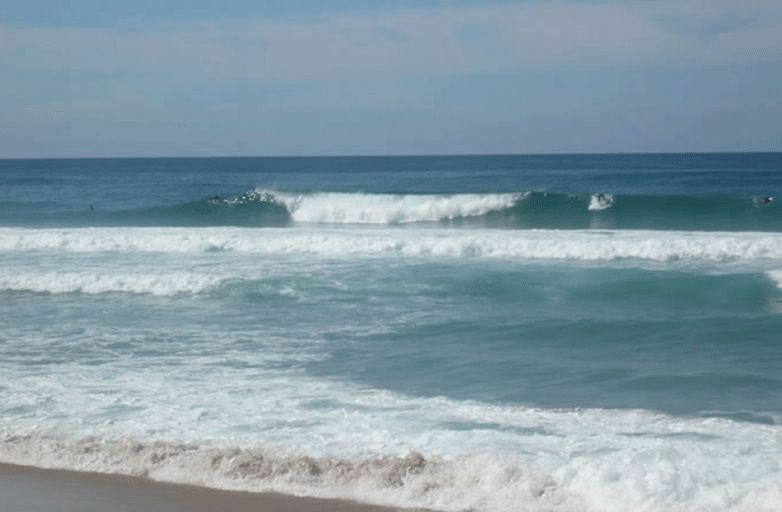 There are several beach breaks with equally good left- and righthander. The Costa da Caparica on the other side of the Tagus is worth a nice surf trip. Initially interrupted by smaller breakwater the beautiful white sandy beach extends for about 20 km. In the backdrop there is an impressive rock formation. 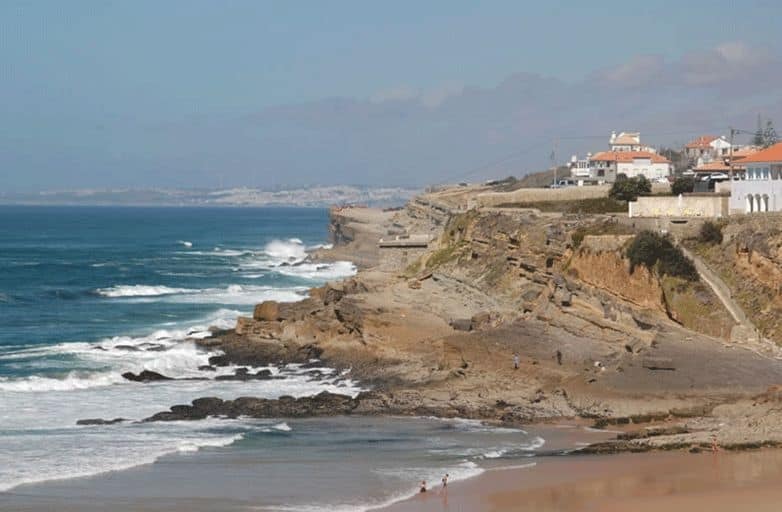 Worth mentioning are also the beaches of Vale da Telha and Meco which are further south and where you can get excellent uncrowded waves with bigger swells. Sea food is excellent and a lot cheaper, because the restaurant owners are partially fisherman themselves. The beaches on the “Costa” begin immediately after the bridge 25 de Abril and are about 25 km long and 40 minutes by car from the villa.